ISLF commissioned a “Need Assessment Study in the Kilinochchi and Mullaitivu Districts of Sri Lanka” in order to assess the socio-economic and livelihood status of the resettled people. The study was undertaken by Professor S. Rajadurai, former Dean of the Faculty of Agriculture of the University of Jaffna. Excerpts from this study will be presented in a series of feature articles. The read the full text of the study please visit the Resource Center of the website. Since the early 1980s, the Northern and Eastern provinces have been ravaged by the internal conflict between LTTE and the Sri Lankan Government. It was estimated to have costed the lives of about 80,000 people and resulted in severe physical and psychological trauma to many more. It has led to repeated instances of large-scale displacements of civilians and fostered exodus of many thousand people to other countries. The government, in January 2010, announced its intention to return a significant number of IDPs to their places of origin. The pace of exits from the camps was initially very slow, but picked up later. As of October 2011, a total of 138,501 families (455,444 people) have been settled in all five districts of Northern Province. 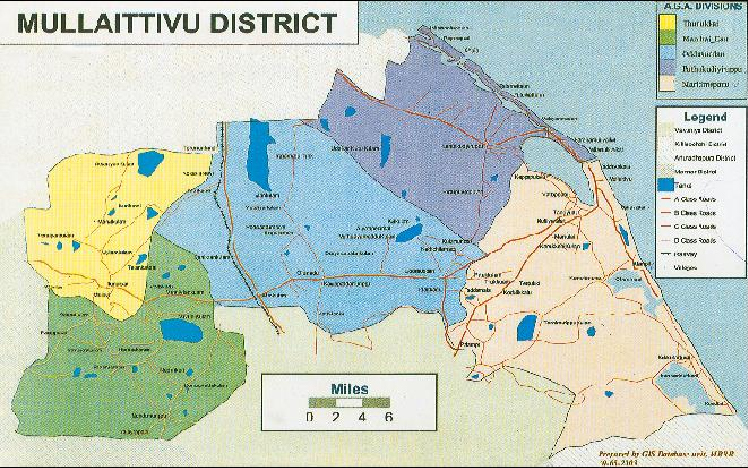 Download Full Document of "Needs of the Resettled People in the Kilinochchi and Mullaitivu Districts"